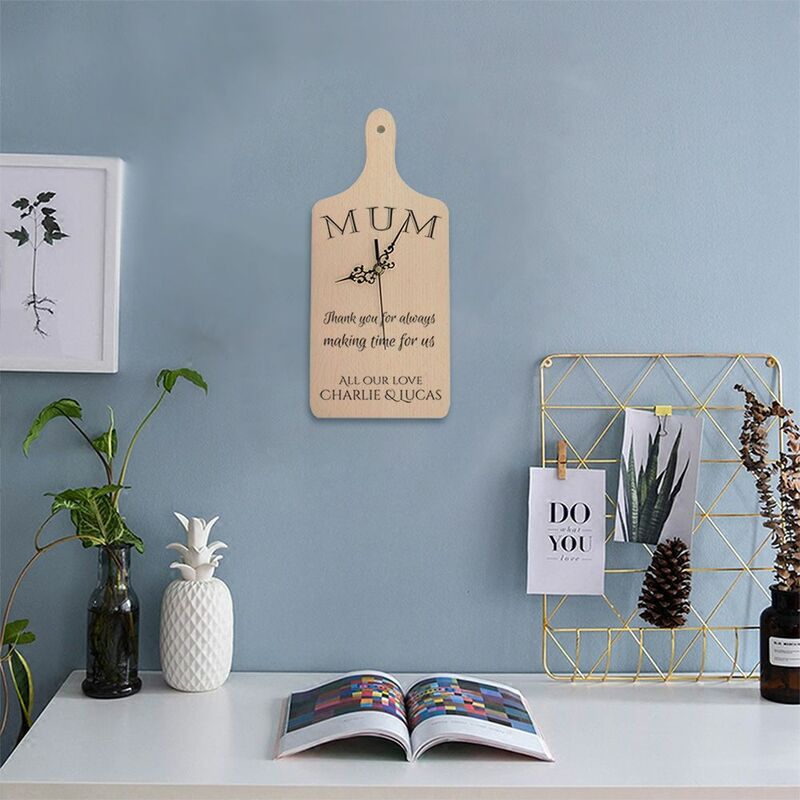 This beautiful solid beech chopping board makes a fun and quirky clock and makes the perfect gift for that special someone. 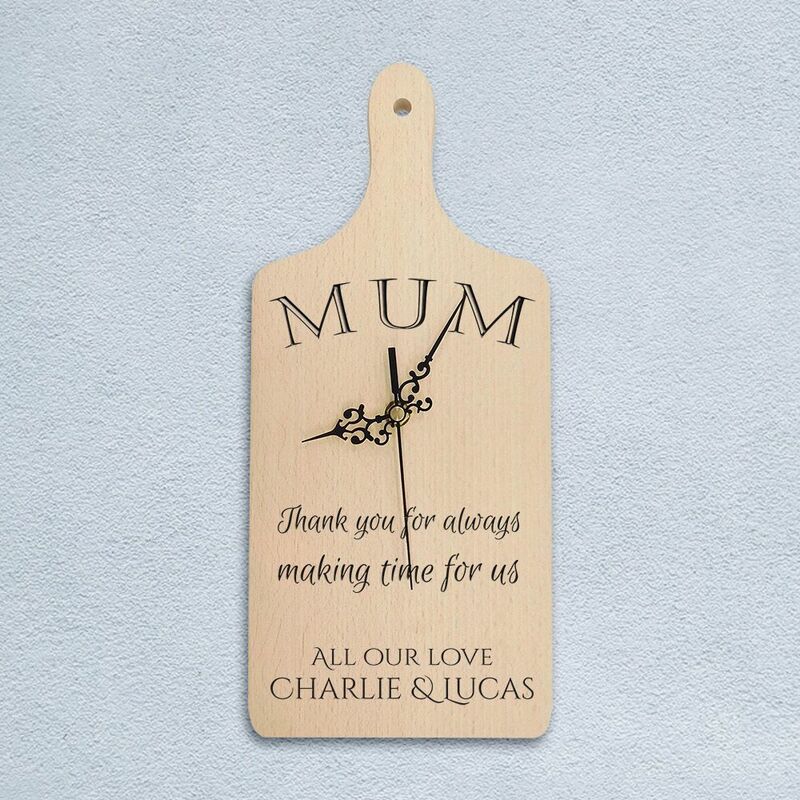 This beautiful solid beech chopping board makes a fun and quirky clock and makes the perfect gift for that special someone. Not only will they be able to tell the time with the Quartz precision hands but they will also have your personalised message engraved for all to see. 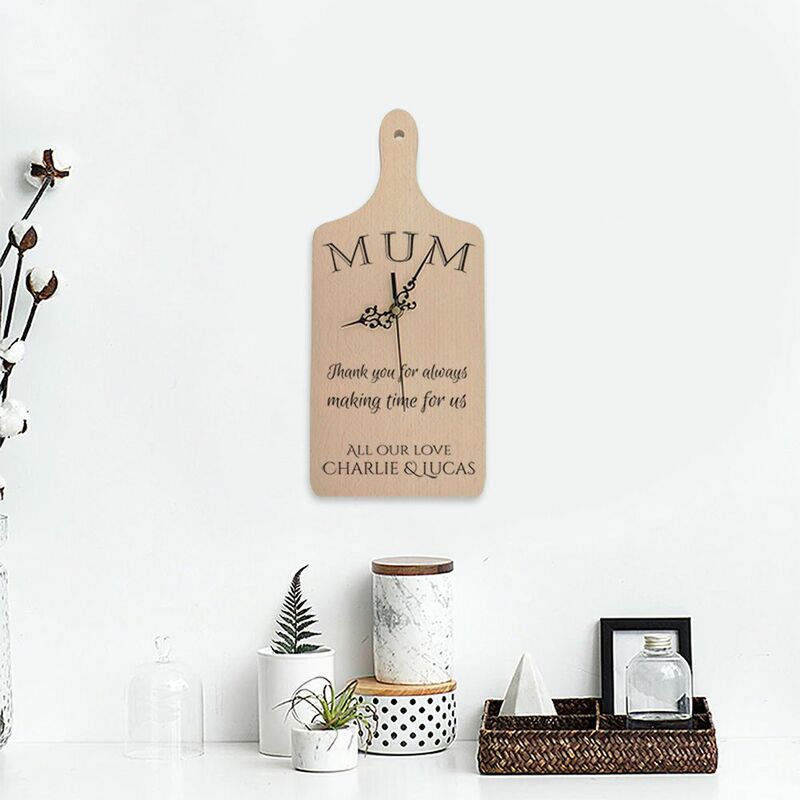 Engraved in our studio, this stylish chunky clock can feature your choice of any name & message of your choice making this a truly unique gift.